You’ve never played a game like this before. Out this fall for PS4 and PlayStation VR. Tetsuya Mizuguchi	President and CEO, Enhance, Inc.
You did watch our Tetris Effect announce trailer as part of PlayStation’s Countdown to E3, right? Well just in case, or if you want to see it again, check it out above (make sure you watch it in 4K if you can). I’ll wait. Hopefully you at least caught this much! 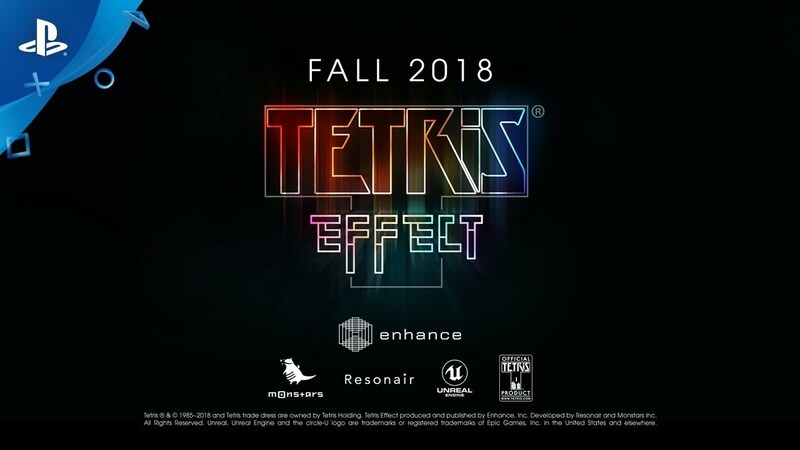 Tetris Effect is a brand new take on the legendary puzzle game coming to PS4 this fall (with optional support for PS VR as well), developed by a lot of the same folks that worked with me to make Rez Infinite and Lumines. Over 30 completely different stages are included, each with their own Tetrimino blocks, clear effects, music, sounds, etc. 2. Tetris Effect is designed to maximize the magical, scientifically-proven aspect of Tetris that it’s named after. That’s right, the Harvard study mentioned in the trailer voiceover is 100% real! Basically, researchers discovered that people who play Tetris a lot can start seeing images from the game in real life. Maybe you’ve even experienced this yourself after playing previous Tetris games (I know I have) — you see a bunch of bricks or crates stacked and unconsciously start imagining how to move them to fit together and “clear” them. Or while you stare at the ceiling about to fall asleep, you “see” those iconic Tetris shapes falling in your mind’s eye. That’s what researchers call the Tetris Effect. 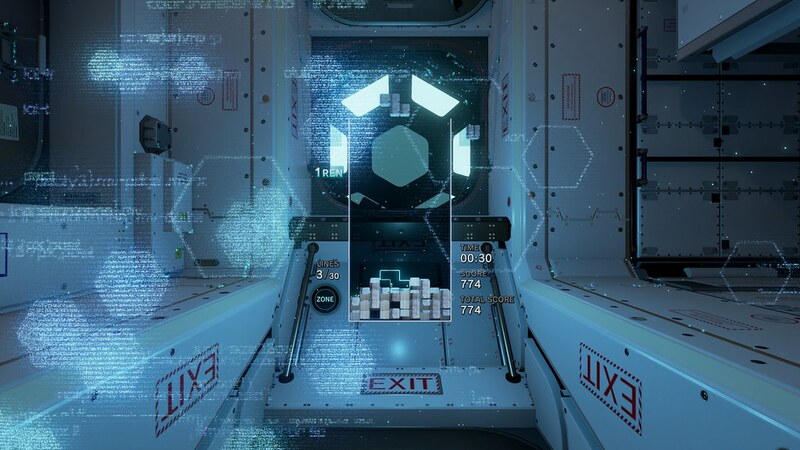 The idea behind Tetris Effect the game is to amplify and enhance that same magical feeling where you just can’t get it out of your head, and not just the falling shapes, but all the visuals, the sounds, the music — everything! How? By having each of more than 30 stages immerse you in a different fantastical world that reacts and evolves based on how you play: background elements, audio, special effects — everything, down to the Tetris pieces themselves, pulse, dance, shimmer, make music, explode, etc. in perfect sync with how you’re playing. In addition to fan favorite modes like Marathon, Ultra, and Sprint, several new modes are coming as well. More on those later this summer…. This isn’t a CG trailer of things unrelated to the actual game. Everything from this trailer was taken directly from the in-game assets: models, effects, animations, backgrounds, you name it. Even the Tetris Matrix and blocks at the end were captured from the game being played in real time! Of course we made some adjustments for the sake of the trailer (layered different stages at once, removed UI, reflected elements, etc. ), but needless to say if you like what you saw here, you will love this game, whether on a standard display in beautiful full HD on PS4, or at 4K / 60 frames-per-second on a PS4 Pro, or in mind-blowing 3D thanks to the optional PS VR compatibility. 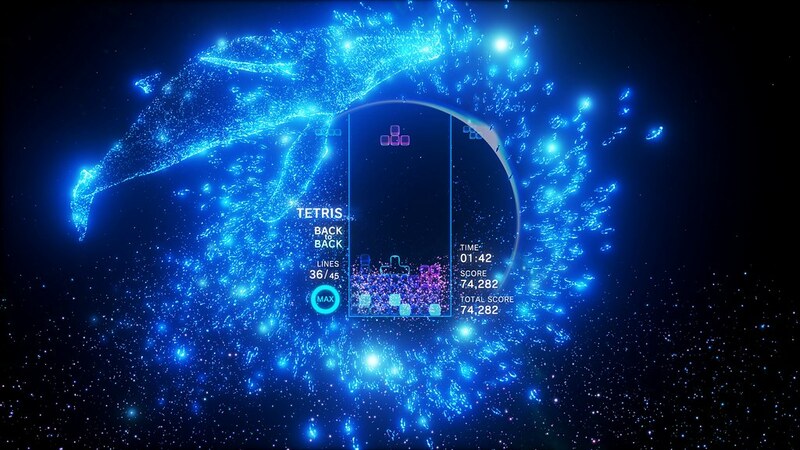 From deep beneath the ocean to the furthest reaches of outer space, Tetris Effect’s 30-plus stages are more than just backdrops; together with music, characters, and animations tailor-made for each level and triggered by your actions, they’re all meant to make you feel something — to convey a mood, or even provoke an emotional response. If this all sounds a bit ambitious or silly for this type of game, check out some reviews and social media posts about our most recent PS4 / PS VR-optional title, Rez Infinite. 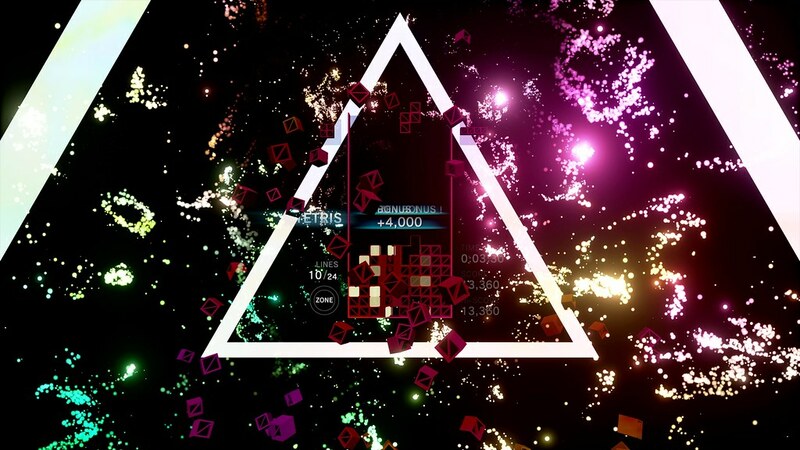 When it comes down to it, the core of Tetris Effect is still Tetris — one of the most popular puzzle games of all time — but like you’ve ever seen it, or heard it, or felt it before. 5. There’s a lot more to come! There’s a lot more Tetris Effect to show and talk about, both at E3 next week (a playable demo on the show floor and more to show the media behind closed doors) and through the summer, leading up to our Fall launch. Stuff like returning Tetris modes (Marathon, Ultra, Sprint), plus other original modes just for this game, and our all-new “Zone” mechanic, where players can stop time (and Tetriminos falling) by entering “the Zone” and either maneuver out of a potential game-over situation, or rack up extra line clears for bonus rewards. Ever cleared 12 lines at once in a Tetris game?! You can that and more by entering the Zone (if you’re good enough). Check out E3 coverage for details about how it works! Watch your favorite media outlets for more details and hands-on coverage, or try the game yourself if you can make it to the show! 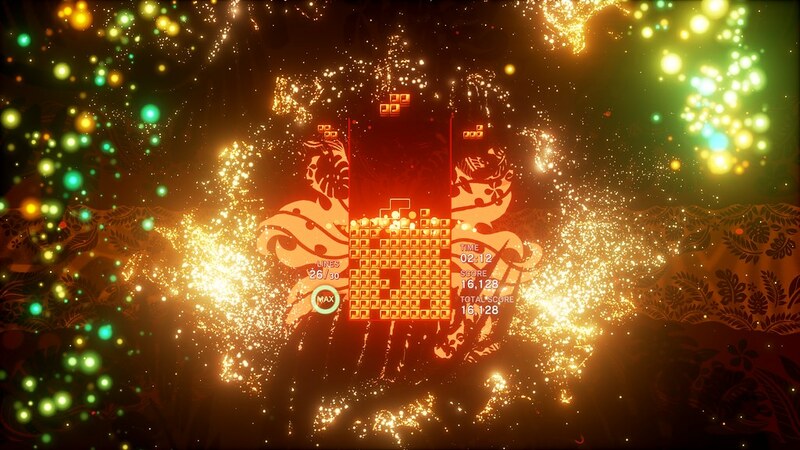 And for the 99% of you who can’t make it to E3, don’t worry; like I said we know full well that the best way to understand Tetris Effect is to play it yourself, so we’re working on a plan that will let you do just that. Watch PlayStation.Blog for news on a public Tetris Effect demo as we get closer to launch. In the meantime, sound off in the comments and tell us what you thought of the trailer! Have you ever seen Tetris blocks outside of the game yourself? Other favorite Tetris memories? Or maybe you’re new to Tetris and looking for a first game to play? We want to hear from all of you! Perfext first pre E3 announcement. Can’t wait to check it out! This looks and sounds great. Never thought a Tetris game would peak my interest like this. What’s the name of the artist and track used in this trailer? Shazam did not work. In not a big fan of tetris but I wasn’t a fan of on rail shooters either. Tetsuya has the magic. I can’t wait! That was just cringy to watch. Ah yes, the “everything is cringe” because I don’t understand or like a thing reply. Thanks for making sure to drop a comment! Nope. You’re wrong. Tell me PLEASE, what was “cringy” (not a word btw) about this trailer to watch? name that song and artist please! Please! If it’s originally composed for the trailer, I hope it gets released. I’m absolutely in love with the music used in the trailer. Сорян если написал не очень грамотно..
Looks good. Will there be a physical release? Super excited for this, Tetris as always been one of my favorite games of all time. I even loved the obscure Tetrisphere- that most people probably don’t remember. ALL IN! Let’s go Tetsuya! This will be amazing in VR! I love the visuals, I can’t wait to try it out! You have to experience Rez Infinite in PSVR to appreciate how amazing it feels to be surrounded by particles with such an amazing music accompaniment. This is going to be fantastic- my most exciting announcement or leak thus far. Thank you Miz! This was a great reveal for me. Tetris has been one of my favourite puzzle games since the original Game Boy, and this new version looks fantastic. Loved the unique trailer as well. Thank you, Enhance and Playstation. Bought a PSVR in November and still in love with it. PSVR is amazing and needs more of these kinds of games and experiences. It’s so, so beautiful. I wanted a PSVR before; now I *need* one. “The stars didn’t quite align”? You know, you start reading the title and you think to yourself, ok, another Tetris release, that’s nice and what not, but there are thousands of versions of this game, is it really worth all this fanfare, making this huge E3 announcement for it, and the you read the last part of that title, you wonder if you read that wrong and then think to yourself: I’m going to be very upset if there’s no physical release of this. Very upset. While on the subject, can we kindly get a PS4 version of Child of Eden? We’ Gotten Rez and Lumines on the PS4, can we please have the whole set? OoOoOo… a PSVR Child of Eden. Now that is great idea. Come on, Sony. I want something that’s REALLY exciting. Вот вот, игруха может и очень даже хорошая будет. Но тоже как то не моё. Sony надо делать явно больше годноты для PS VR, а то вроде и гарнитурка одна из самых популярных, а с анонсами в этом году пока что, как то совсем не густо. Надеюсь E3 исправит это. Well, I do not know, I’m probably wrong and this game will still be good, at least I look people like happy. Awesome! I love Lumines. If this is a Tetris with a focus on the music I will absolutely love it. Please have a soundtrack that lives up to that trailer. It needed a little mix of Tetris theme at the end at least, ha ha. Sounds good though. Looks amazing. Can’t wait to play more Tetris! … Was that a new Genki Rockets track??? Was that Kirk Thornton with the voice over. Tetris + Lumines? This has potential to be legendary!!! day-1 buy!!! tetris haters can go play one of the hundreds of shooters.